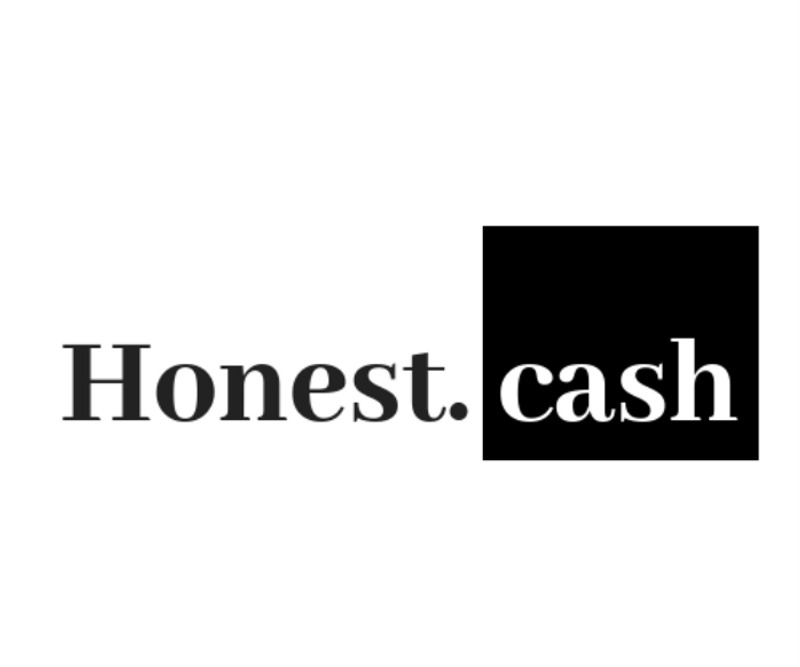 In the following, Honest Cash is referred to as Honest. These Terms of Service (“Terms”) are a contract between you and the Honest. They govern your use of Honest’s sites, services, mobile apps, products, and content (“Services”). By using Honest, you agree to these Terms. If you don’t agree to any of the Terms, you can’t use Honest. By using Honest on or after that effective date, you agree to the new Terms. If you don’t agree to them, you should delete your account before they take effect, otherwise, your use of the site and content will be subject to the new Terms. You own the rights to the content you create and post on Honest. By posting content to Honest, you give us a non-exclusive license to publish it on Honest Services, including anything reasonably related to publishing it (like storing, displaying, reformatting, and distributing it). In consideration for Honest granting you access to and use of the Services, you agree that Honest may use your content to promote Honest, including its products and content. You’re responsible for the content you post. This means you assume all risks related to it, including someone else’s reliance on its accuracy, or claims relating to intellectual property or other legal rights. You’re welcome to post content on Honest that you’ve published elsewhere, as long as you have the rights you need to do so. By posting content to Honest, you represent that doing so doesn’t conflict with any other agreement you’ve made. By posting content you didn’t create on Honest, you are representing that you have the right to do so. For example, you are posting a work that’s in the public domain, used under license (including a free license, such as ), or a fair use. You can read here about how we handle published content that you do not have the rights to publish. We reserve all rights in Honest's look and feel. Some parts of Honest are licensed under third-party open source licenses. We also make some of our own code available under open source licenses. As for other parts of Honest, you may not copy or adapt any portion of our code or visual design elements (including logos) without express written permission from Honest unless otherwise permitted by law. (4) interfere with, or disrupt, the access of any user, host, or network, including sending a virus, overloading, flooding, spamming, mail-bombing the Services, or by scripting the creation of content or accounts in such a manner as to interfere with or create an undue burden on the Services. If you find a security vulnerability on Honest, tell us. You can submit an issue on our Github Account: https://github.com/honest-cash/honestcash/issues. You can upload your content to the Bitcoin Cash (BCH) blockchain and make it uncensorable. Every uploaded content has an identifier which you can use to access the information directly on the Bitcoin cash blockchain. We will display this identifier on the respective page of the content. Uncensorable content is saved on the Bitcoin Cash blockchain and is not controlled by us. In this can you will be only able to remove the content from Honest that references the entry in the blockchain. All users understand that content uploaded ARE NOT PRIVATE AND CANNOT BE REMOVED from the publicly accessible Bitcoin Cash (BCH) blockchain, they will be displayed for others to view, and Honest users understand and agree that Honest cannot be responsible for the content posted on its web site and you nonetheless may be exposed to such materials and that you use the Honest website at your own risk. If we receive a valid takedown notice for your content, only the reference to the content saved on the blockchain will be displayed. There are other tools and services that enable you to access the content freely. Honest provides you with a service to upvote content and give tips directly to the authors of the content. We also provide you with a web-based Bitcoin Cash wallet which you can use for the upvoting purposes or storing funds. We do not store your private keys nor manage your funds. You are the only person responsible for the security of your private keys. We track the transactions made with the wallets in order to display the upvotes on the page of the content. Honest provides its users with a service to create premium content. Readers can unlock it by transferring a selected amount of Bitcoin Cash directly to the author of the content over the Honest website. We refer to this service as "Member Services". Your use of the Member Services must be only for personal, non-commercial use. You agree not to use any Member Service, in whole or in part in connection with any public presentation even if no fee is charged (except where such use would not constitute a copyright infringement). You are receiving a non-exclusive license to access the Member Services and all rights, title and interest in the Member Services (including any content offered through the Member Services) not expressly granted to you in these Terms are reserved by Honest and its licensors. If Honest reasonably determines that you violated any part of the Membership Terms of Service, your rights under this Section will immediately terminate and Honest may terminate your access to the Member Services and/or your Honest account without notice and without refund to you. Locked Posts. For each locked post associated with your account, you have the chance to receive revenue in Bitcoin Cash based on how many times it is unlocked and its unlocking price determined by you. The revenue is sent directly from the reader on public payment network Bitcoin Cash. Honest tracks the payments in order to detect if the content should be unlocked or not. Deletion of Unlocked Content. The writer chooses whether to lock a post and its purchase price. As with any post, either the writer or the publication owner or editors may choose to remove a locked post from a publication at any time. Necessary rights for locking content. You may only lock a post (i.e., place it behind Honest paywall) if you have sufficient rights to make commercial use of the content in it, including text, video, and audio elements. Honest may require you to provide documentation proving you own sufficient rights to lock a post. The consequences of locking posts when you lack the rights to do so or failing to provide adequate documentation upon request include the unlocking of posts, and suspension or termination of your Honest account. These Terms are not legal advice. If you plan to lock and monetize a post containing any content you did not create, you may want to talk to a lawyer first to ensure you own all rights required to do so. Taxes. If required by law, you are responsible for reporting and paying any applicable taxes in connection with your participation in the Honest platform. Such taxes may include duties, customs fees, or other taxes, along with any related penalties or interest. present any false, inaccurate or misleading information in an effort to misrepresent your location or place of residence, and you will not attempt to circumvent any restrictions on access to or availability of the Member Services or content available within the Member Services. Changes or Discontinuation of Member Services. Honest reserves the right to change the availability of Member Services. In addition, we reserve the right to modify, suspend, or discontinue any Member Service with or without notice to you and we will not be liable to you or any third party for any such modifications, suspension, or termination. Removal or Unavailability of Content. In certain cases, content available within a Member Service may become unavailable due to restrictions from our licensors or other legal or policy reasons. Honest will have no liability to you for any such unavailability. Account and bitcoin wallet required. In order to accrue or receive payment of any revenues under the Membership Services including paywalls, you must have at all times an active Honest account and a bitcoin cash wallet whose private key you control, associated with it. Payments Disclaimer. Honest does not owe you for any revenues that may be associated with your content during any period. This may happen if you do not control the private keys to your bitcoin wallet, forget your Honest password or any other case. Fees. When unlocking content, readers send 20% of the paywall amount to Honest. Disclaimer of warranty. Honest provides the Services to you as is. You use them at your own risk and discretion. That means they don’t come with any warranty. None express, none implied. No implied warranty of merchantability, fitness for a particular purpose, availability, security, title or non-infringement. Limitation of Liability. Honest won’t be liable to you for any damages that arise from your using the Services. This includes if the Services are hacked or unavailable. This includes all types of damages (indirect, incidental, consequential, special or exemplary). And it includes all kinds of legal claims, such as breach of contract, breach of warranty, tort, or any other loss. No waiver. If Honest doesn’t exercise a particular right under these Terms, that doesn’t waive it. Choice of law and jurisdiction. These Terms are governed by German law, without reference to its conflict of laws provisions. You agree that any suit arising from the Services must take place in a court located in Karlsruhe, Germany. Entire agreement. These Terms (including any document incorporated by reference into them) are the whole agreement between Honest and you concerning the Services. By using Honest, you agree to follow these Rules and Policies. If you don’t, we may remove content, or suspend or delete your account. Questions? Let us know at info@honest.cash.